In challenging applications like these, NAVCO repetitive-impact pneumatic vibrators offer more uniform and better electrode cleaning than single-impact rappers. And their simple, rugged construction make them proven long haul performers. 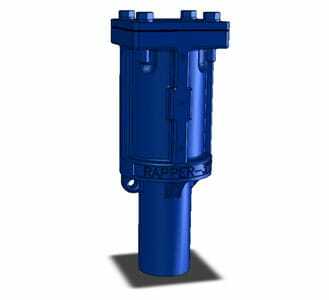 NAVCO pneumatic rappers are suitable for vertical or horizontal applications such as precipitator ash hoppers. In addition, their high reliability, high effectiveness and low maintenance make them ideal for bag house shaker applications. access to Neundorfer online resources.